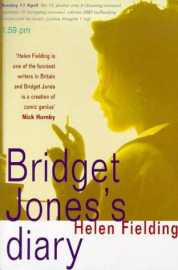 Bridget Jones's Diary was first published in 1996 and applauded by critics from Salman Rushdie to Jilly Cooper. A number one best-seller, Helen Fielding's book has sold over fifteen million copies worldwide and has been turned into an Academy Award-nominated film starring Renee Zellweger, Colin Firth and Hugh Grant. Bridget Jones's Diary is followed by Bridget Jones: The Edge of Reason and Bridget Jones: Mad About the Boy.